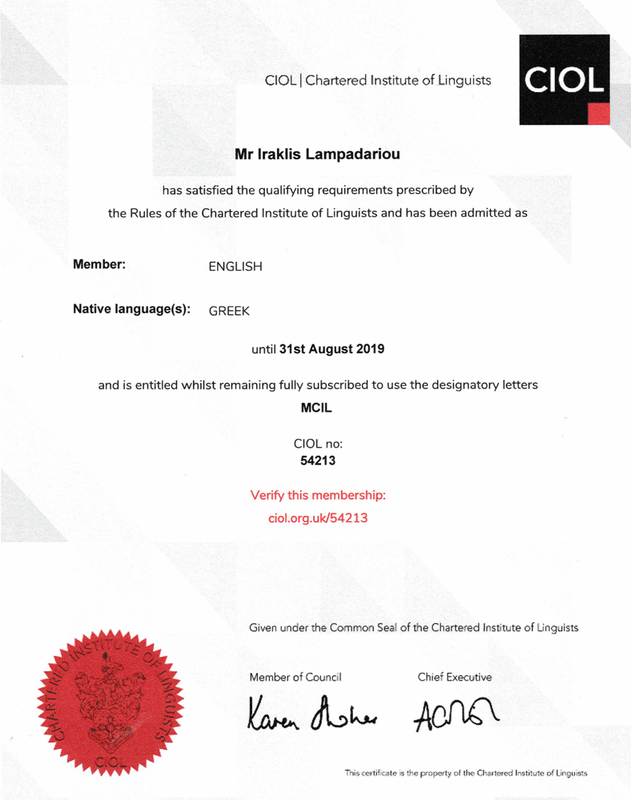 Speak Greek is a member of the Chartered Institute of Linguists! We are proud to announce that Speak Greek enjoys a full membership of the Chartered Institute of Linguists (CIOL) which is the pre-eminent UK-based professional membership body for language practitioners. It aims to enhance the recognition and promote the value of languages and language skills in the public interest. Founded in 1910, CIOL has over 7,000 members. Our membership demonstrates that Mr. Iraklis Lampadariou has met the rigorous requirements and standards for good practice in the professional use of Greek and English language skills.